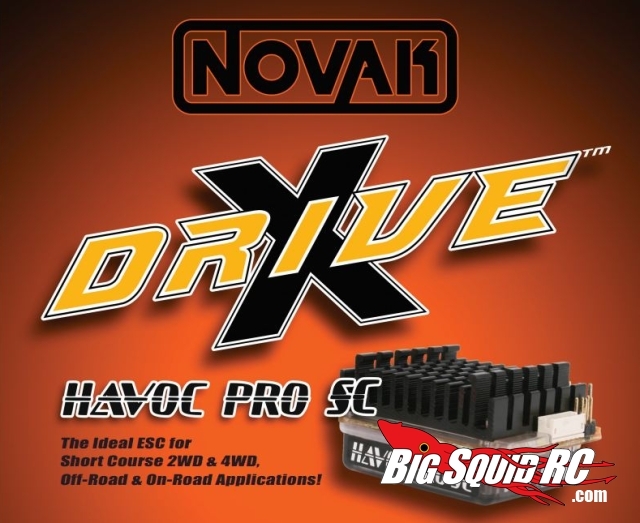 Novak X-Drive « Big Squid RC – RC Car and Truck News, Reviews, Videos, and More! Although it doesn’t always seem like it, there is more than one electric motor and ESC MFG in the RC world. 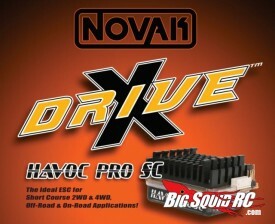 Novak has announced their newly-developed X-Drive technology for ESCs. This adds a new high efficiency brushless motor firing technology that will increase throttle feel and response, and at the same time reducing the ESC’s operating temperature. Novak engineers have developed this exclusive firmware and hardware update that permit the Havoc Pro SC to have the absolute best response times and switching speeds. Sweet! Be sure to check out Novak for all the info!